Esther is Associate Professor at the University of South Africa's Centre for African Renaissance Studies where she is responsible for teaching post graduate students. Her focus areas include public health, Gender and HIV/AIDS, Sustainable Development, Food Security and Indigenous Knowledge. She has active involvement in projects in Kenya, Ethiopia and South Africa and her previous work includes time in Uganda. 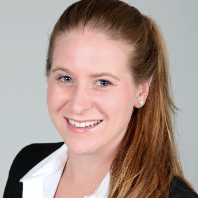 Esther is team leader for the University of South Africa's International Experts on Education and Sustainable Development, a joint project between Germany, India, Mexico and South Africa. She is a member of the European Union Training Foundation. Esther holds an MBA (UNISA/ OU, UK) making her a valuable asset for Business Development, Market analysis, Transformation, and Organizational Development in Sub-Saharan Africa". 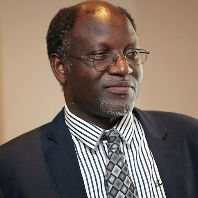 Dr Francis Ohanyido is a public health physician, project manager and notable eHealth advocate in the African region. He has worked internationally in the fields of global health and information and communications technologies for development. He is a member of WHO's malaria in pregnancy working group (MIPWG) and the global diarrhoea and pneumonia working group (DPWG). He chair's the High-Level Health Information Technology Group (HHITG) of the Professional Learning Institute (PLI) and serves as Vice-President of West African Health Informatics Fellowship Programme (WAHIFP). Dr. Ohanyido leads or sits on several other bodies in public, private and development sectors globally including UN MDGs Professional Support Group for Africa, International Public Health Forum (IPHF), which he founded in 2007 as a global online network and community of practice, as well as chairing the board of June Interactive, a start-up software firm in Nigeria. 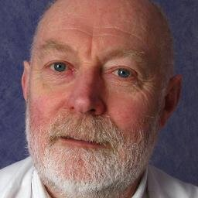 His expertise covers a broad spectrum of public health spanning community, programmes, systems and infectious disease, particularly policy, programme design, and project management. He founded the first web-based advocacy network in West Africa for eHealth and telemedicine called the Nigerian Telemedicine Development Alliance (NTDA) in 2003, and served as Acting Secretary General for the Society for Telemedicine and eHealth in Nigeria (SfTeHIN). He was also part of the core team which worked with WHO/AFRO to organise the Pan African Conference for Telemedicine and eHealth (PACTe). A recent project includes the design and rolling out of the "Zamantakewa Project" which is evolving in Nigeria and has gotten the buy-in of the governments Universal Service Provision Fund (USPF)/Nigerian Communications Commision (NCC). The project is evolving to include ehealth, eAgriculture, eLearning, and eCommerce for community socio-economic wellbeing. Ohanyido has worked as regional consultant for WHO/AFRO to develop an integrated M&E framework as well as rich electronic database of materials for the Neglected Tropical Disease programme in the African region, Project Support Manager for USAID’s flagship COMPASS Project Nigeria, Special Advisor to the Nigerian Medical Association (NMA), Advisor to the Nigerian Senate Committee on Health, Member of the Supercourse team of the WHO-Collaborating center of the University of Pittsburgh USA, coordinator of the Nigerian Telemedicine and eHealth Working Group (NTeHWG), consultant to the USPF/NCC Nigeria, Member Pneumonia Innovations Team of the MDG Health Alliance and currently National Pneumonia Coordinator of USAID’s Targeted States High Impact Project Nigeria with support of the UN Commission for Lifesaving Commodities for Women and Children(UNCoLSC). Ohanyido's interest in global health and health information technology started as a medical student in University of Jos 20 years ago when he co-founded the first student-initiated on-campus HIV/AIDS prevention network in Nigeria. He later had stints with UNHCR, UNICEF, AID Foundation, and CMDS Center amongst others, and even became a member of the elite National Aeronautic and Space Agency –led Knowledge Management community of practice for health. He is considered a pioneer advocate and sees health information as and "equalizer" for health systems with prospect of advancing sustainable health and patient –centric health care. 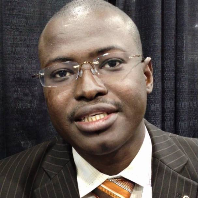 Dr. Ohanyido has a Medical Degree from the University of Jos, Nigeria, Postgraduate qualifications in Hospital and Health Administration, Public Health and Computer Applications. He also obtained certificates in HIV Management for Primary Care from Harvard Medical School, and Certificate in Health Planning from American University of Armenia. Dr. Ohanyido is a chartered Professional Manager and Project Manager. He is a notable Fellow of the Royal Society for Public Health, UK and the Royal Society for Tropical Medicine and Hygiene, UK. He is also an alumnus of the prestigious United Nations University 10th e-Governance class. Francis Webster is Head of Development at Medical Aid Films, an NGO that produces film and innovative media to transform access to information in low-income countries about women’s and child health. He is passionate about using media to drive change by improving universal access to knowledge that can quite literally save lives. Francis previously worked with major UK health charities, Marie Curie Cancer Care and Cancer Research UK. He has also worked and travelled widely, including teaching in Japan and volunteering in India, and he has a BSc in Psychology from the University of York.